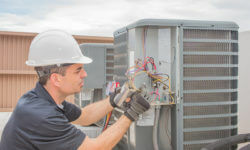 If you’re in the market for a new commercial HVAC unit, you’ve likely come across dozens of HVAC acronyms. Just like any other line of work, the HVAC industry uses hundreds of acronyms. And, sometimes this can make shopping for a new unit confusing. But, have no fear – we’re here to help by decoding 10 common HVAC acronyms. At The Severn Group, we see a lot of commercial HVAC problems. Businesses all throughout Maryland and the Washington metro areas call on us to maintain and service their systems. As such, our team has seen it all, from the minor problems to the major ones. Here are some of the most common issues that facility and operations managers may run into. In an HVAC system, the ducts are responsible for delivering and removing air. To demonstrate, stagnant, stale air leaves a home or office through ducts, and fresh, temperature-controlled air comes in through ducts. When there’s a problem with the ductwork, it can spell trouble for the entire HVAC system and for the building. At The Severn Group, our technicians come across a lot of these problems. 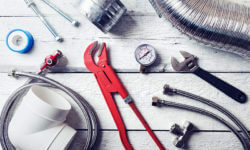 Here are the most common duct issues and how they can affect your HVAC system. The chiller system in your commercial building serves an important purpose – it helps keep your facility cool. If you have questions about your chiller system, we have the answers. Check out some of the most frequently asked questions (FAQ) about chiller systems below to learn more.